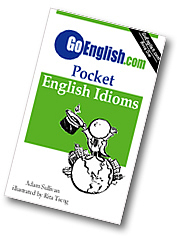 Today's Idiom = "At The Present Time"
The present time is now. Example: "Are you hiring new people?" Reply: "Not at the present time." Not at the present time tells you that the thing may happen at a future time, but it is not happening now. Example: "Would you consider buying from a different company?" Reply: "Not at the present time." Saying not at the present time is more polite than saying no, because it leaves open the possibility that it may happen in the future.